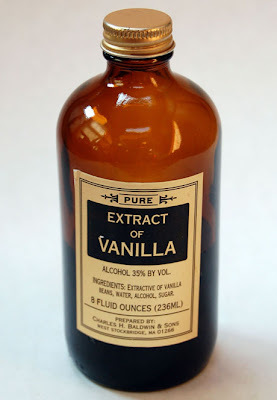 Is Imitation Vanilla OK to Use? Serious Eats posted a video from America's Test Kitchen asking the question, "Is imitation vanilla ok to use?" Check out the video here and tell me what you think. I personally use imitation vanilla because of the huge price difference. But maybe my desserts would taste so much better with real vanilla extract. I seriously can't get enough of the food truck craze. I don't know what it is that makes them so special, but I love it. And I'm loving that they are getting together to do meet-ups. More incentive for me to not cook dinner every night. I stopped by a meet-up a few weeks ago to get some tacos from Dos Chinos, one of my new favorite food trucks. Morsels Baking Company was there and I got to try another flavor of cupcake. This time it was Chocolate Coconut. I inhaled it. So good! A few of my friends got the dessert shots. Well, you can tell by the looks on their faces if they liked them or not. You can follow Morsels Baking Company on twitter (@bakerytruck). Fall is here and I'm so happy! Fall means the start of great holiday baking. Fun Halloween treats and pumpkin desserts are my favorite parts. I'll be featuring my favorite new desserts finds over the next few months (then it's onto Thanksgiving and Christmas!!). 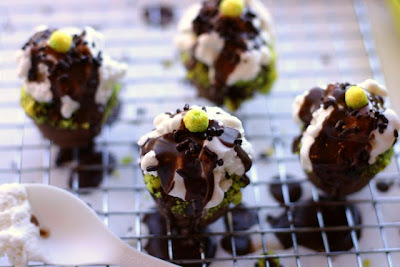 Cheeky Kitchen posted photos, a recipe, and instructions for Little Hobgoblin Sundaes. They caught my eye because I thought they were cupcakes. 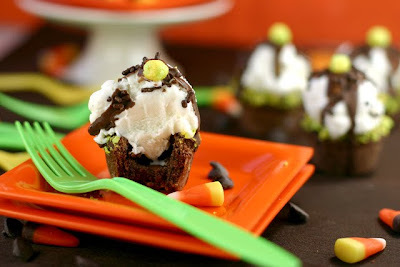 These fun treats are made with chocolate chunk cookies, dipped in chocolate, dipped in green and yellow swirled Trix, topped with vanilla bean ice cream, drizzled with chocolate, and topped with a "goblin-covered cherry." You can find more photos and the recipe on Cheeky Kitchen's website. Happy early Halloween baking! My lucky sister got to go to Hawaii twice this year: to Kauai with my family and to Maui with her husband's family. While in Maui she found a bakery that sells cupcakes! How much luck can one person have?! Banyan Tree Deli & Bakery is located in Lahaina on the island of Maui. They sell fresh sandwiches (no preservatives), muffins, and of course cupcakes! My sister spoke with the owner who was very friendly and he let her takes some photos. Most cupcake shops freak out when you pull out a camera. I don't know what most of them are trying to hide. Maybe it's just the owner's carefree Hawaiian spirit. There were three different flavors of cupcake available that day. Surprisingly, they weren't boring flavors like chocolate or vanilla (that's not fun when those are your only options). Red velvet, coconut-mango fudge brownie cupcake, and passion orange guava. The cupcakes were $3.75 each. My sister picked two flavors: passion orange guava and coconut-mango fudge brownie. She said the frosting was amazing on both cupcakes. 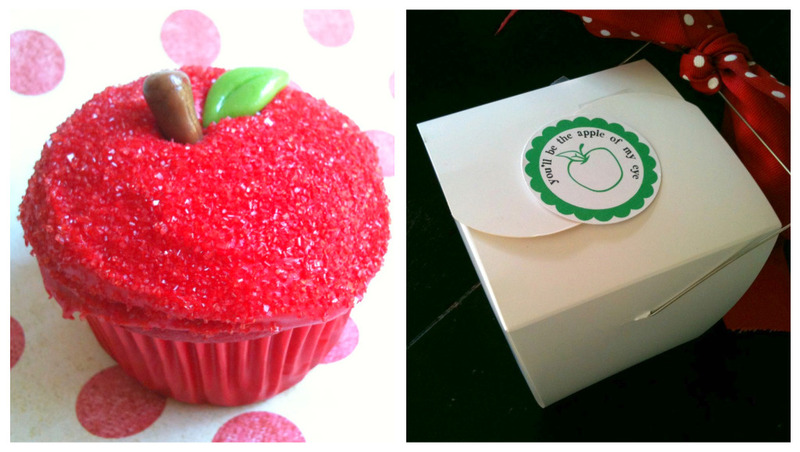 The passion orange guava cupcake was her favorite though. She said it was moist, light, and wonderful. The fudge brownie cupcake was more like a brownie. She said it was a little dry and not as good. She mentioned that the owner told her that this cupcake is made to be similar to a brownie, so it makes sense that it wasn't as light and moist as the other cupcake. Brownies are more dense. 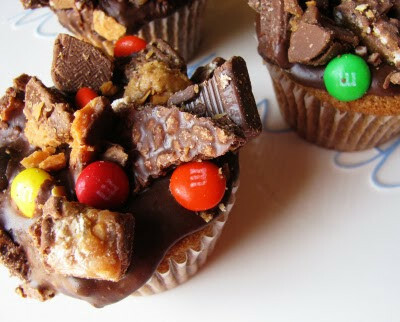 I hope that I am in Maui sometime in the near future so I can try these cupcakes myself. They look delicious! This week, Cakespy's weekly piece on Serious Eats features cupcake-stuffed cupcakes. 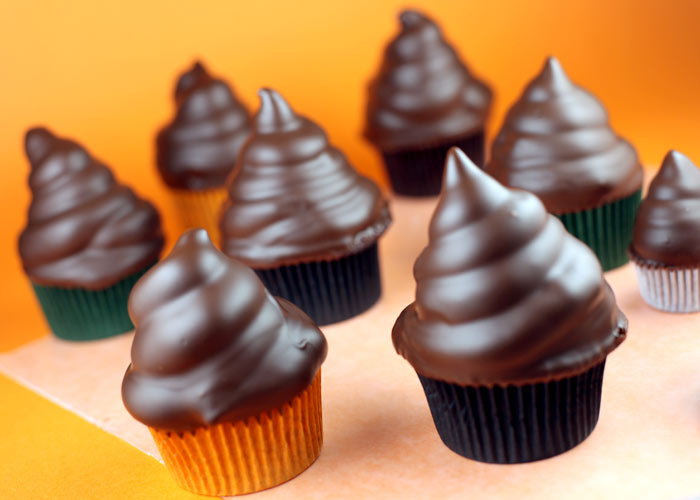 That's right...mini cupcakes baked inside regular-sized cupcakes. 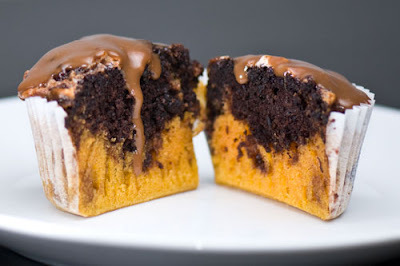 And surprisingly, Jessie of Cakespy said "the baby-cakes, sealed by the moisture of the cake batter, don't dry out, whereas the baked bit of frosting lightly spreads, browns, and adds a rich crunch, making for an overall taste and visual contrast which can't be beat." 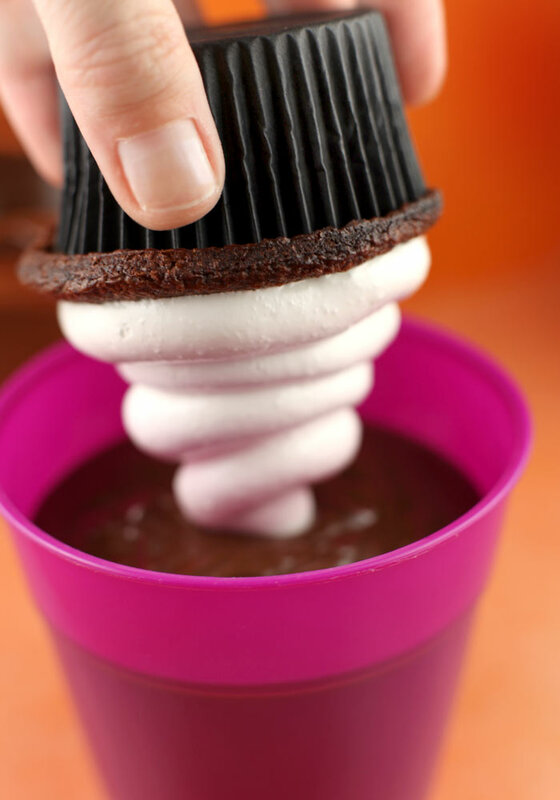 Sounds like a fun, new idea for cupcakes. You can find the recipe here. I was contacted by Jennifer of Jennifer Stonebarger Designs a few weeks ago asking me if I'd like to sample her cupcakes. Umm...yes!! I didn't need to think twice about that. If I hadn't been so busy at Cupcake Camp OC, I might have had the chance to meet her there. Instead, I got to taste one of her cupcakes that was entered in the Professional category. I remember her Maple Bacon cupcake because it was one of my favorites. So when she offered to bake some other flavors for me, I was more than happy to oblige. Jennifer Stonebarger Designs is a custom-order bakery for cakes and cupcakes. Jennifer loves making cakes because it is a great creative outlet for her and she loves the "MacGyver" part of the project: how to build the cake, how to get the right fondant effect, experimenting with different materials, etc. 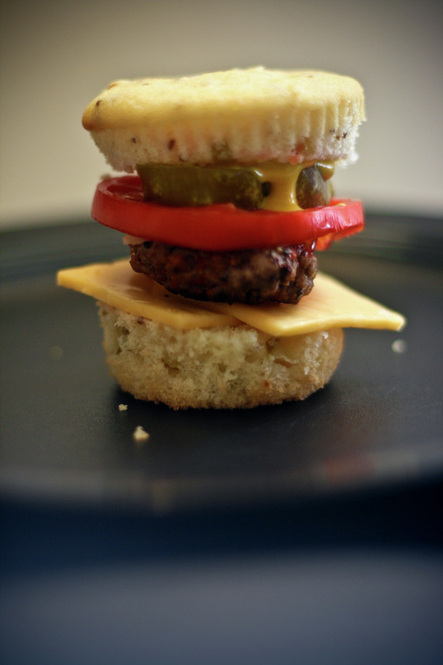 Jennifer is quite talented creatively, as you can see from the photos on her blog. But enough about cakes, let's talk about her cupcakes! All of Jennifer's cupcakes are made with a variation of her bundt cake recipes. Her chocolate chocolate chip recipe is a family recipe and one of her most popular requests. My husband and I sampled every one of the cupcakes provided. What a wonderful job I have! My thoughts: Jennifer knew that I am super picky about frosting from reading my previous reviews. I mean, it's true....I think the frosting makes the cupcake. 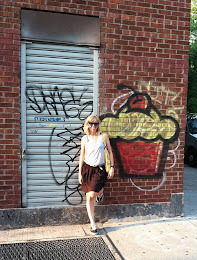 So when I took my first bite of Jennifer's cupcake, I breathed a sigh of relief. The frosting was great! Not super sweet, not light & whipped, but just the way I like it. Jennifer's cupcakes were excellent. The cake was moist, the frosting was tasty, they looked pretty, and they tasted great. My favorite one was the Coconut Cream with Vanilla Frosting. This cupcake had a surprise cream filling on the inside, which I always love. Also worth noting, the cream cheese frosting on the red velvet had just the right amount of tanginess, something that a lot of red velvets lack. Her cupcakes start at $25 per dozen and mini cupcakes are $20 for two dozen. She also does custom-order cakes, cookies, and cookie pops. You can contact her for more info on pricing. Jennifer is teaching some cupcake decorating class through Adult Education at Saddleback Valley Unified. They are listed under "Fifteen and Fun" series or "Culinary Arts." You can find more info at: www.goadulted.com. I've been a fan of Top Chef since Season One. The only thing better than watching people make great food is eating great food. I was super excited when I heard they were doing a spin-off called Top Chef Just Desserts! Well, the show premieres tonight and word on the street is they have to bake CUPCAKES!! As if I needed another reason to tune-in. Gayle Simmons (from the original Top Chef) is the host. The three judges are Johnny Iuzzini, Hubert Keller, and Dannielle Kyrillos. 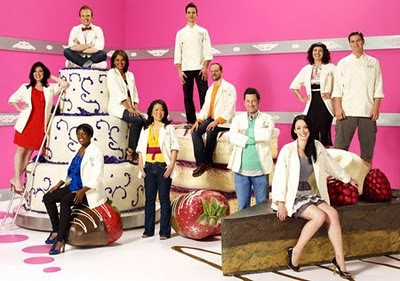 Top Chef Just Desserts premieres tonight, Wednesday, September 15 at 11/10c on Bravo. Can't wait to hear what you think about it. I'm still recovering from my sugar high of last night's Just Spotted: OC Blog Awards Party! Joe's Italian Ice, cupcakes from Meringue Bake Shop, cookies from The Scoop on Cookies, and a drink bar from Izze Beverages. But besides the food I had a great time meeting new people and having fun at Pretend City. The most surprising part of the night was when Kelly announced the winners and said my blog won the category of "Best Cooking & Baking Blog." Wow, I couldn't believe it! Thank you to all of my readers who voted for me! I feel so loved! I absolutely LOVE writing The Cupcake Activist and hope to continue to bring cupcake happiness to your lives. Stay tuned...I'll be posting the other winners and photos from the night. Last weekend we hung out in Las Vegas, killing some time as we waited for traffic to die down. Since my husband and I had our two nieces with us, we wanted to do something that they would enjoy too. Thank goodness we came across M&M's World and the Coca-Cola Store. Both stores mainly consisted of M&M's and Coca-Cola products for sale. But surprisingly, the most exciting part of the whole weekend was found in the Coca-Cola store drink bar. For just $7, you get 16 cups of 16 flavors of beverages that Coca-Cola sells around the world. These are flavors that are not available in the United States. We decided to make a taste-testing game out of the drinks. Each of the four of us would take a sip and then rate the drink (0-10 scale) based on taste. We didn't look at the flavors beforehand so we could be completely surprised. Most of the drinks were carbonated, but there were a few that were juices. Some of the flavors resembled ones that we have here, but others were completely foreign. Sunfill Mint from India tasted just like mouthwash. Vegitabeta from Japan was simliar to V-8 splash juice. Inca Cola from Peru tasted like bubblegum. It was one of our favorites. "The Beverly tasted like socks." "I think a part of me died when I drank this..."
"I imagine it is what panic tastes like." And our winner, with 35 points was - Bibo Pine Nut from South Africa. Although it sounds like the drink might taste like pine nuts, it was actually a pineapple coconut beverage. It was delicious! Totally worth the money and I would definitely do it again. They also have a sample tray of eight kinds of Coke floats. Might be worth trying next time. 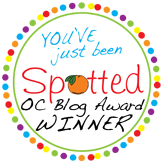 Voting has begun for the "You've Just Been Spotted: 2010 Orange County Blog Awards." Just click on the button below to get to the Just Spotted website. Click on the link in the post to get to the voting website. This is so exciting! 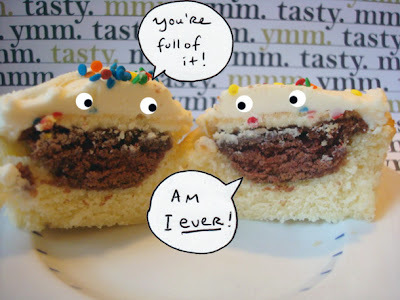 The Cupcake Activist blog has been nominated under TWO categories this year! Thank you for the nominations in the "Food and Restaurant Blog" category AND the "Cooking & Baking Blog" category! Make sure to vote for both. Check out the other nominations and categories. You may find a few that you like too! 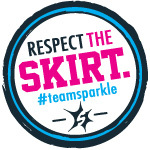 And while you're at it, you can also vote for Team Sparkle in the "Homemade" category and my good friend Carrie (This Mama Makes Stuff) in the "Creative Blog" category. Thanks! Voting ends Sunday night (September 12th) at midnight. Make sure you get your votes in! I am a HUGE apple lover. I seriously eat an apple every day at lunch. My favorite kind are Pink Ladies. September also means the start of the school year. SusieCakes is offering a School "Snack Pack": two mini chocolate chip cookies bagged & ready for the lunchbox. Kids K-8 can get a free cookie or cupcake by bringing in an assignment with an "A." Available for the whole month of September. It seems like I was just in Hawaii setting off fireworks, yet there are signs everywhere of back-to-school, Halloween, and dare I say Christmas! Ahhhh! It really is true that sign flies the older you get. 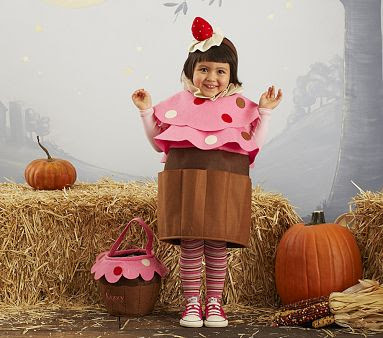 Pottery Barn Kids has their Halloween costumes up on their website already and the Cupcake Costume is so adorable. Having a super adorable girl wearing the costume doesn't hurt the image either. The Cupcake Costume is $59 and available in sizes 2T-3T, 4-6, and 7-8. 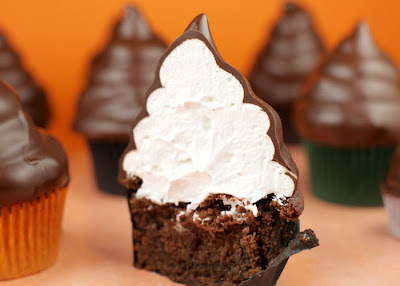 Don't forget the matching Cupcake Treat Bag!